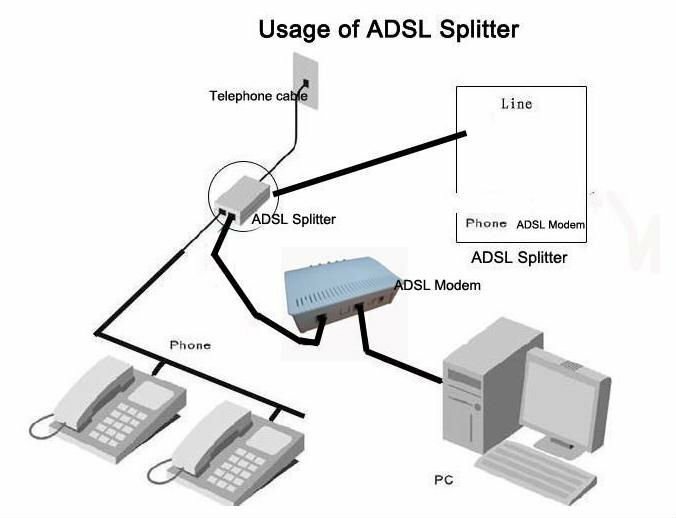 ADSL:ADSL connections use existing copper telephone lines to transmit data to and from the ISP. A special Internet service which is available in many areas. 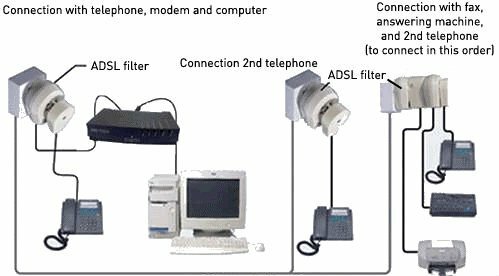 ADSL splitters/filters is an electronic device that isolates the ADSL and voice bands. An ADSL Line Filter is required whenever you connect a computer to the internet using Broadband over a standard telephone line. The filters/splitter divide the signals on the telephone line between the high pitched computer modem sounds and the lower pitched human voices. 3, EMI/FRI filtering included. ADSL filter eliminates the interference of broadband modem signal and voice signal, and enables computer and telephone to be used the same time without any equipment installed. wired RJ11 plug in one end for telephone signal in, and 2 RJ11 jacks in another end, separatelly for telephone signal out, and broadband modem signal out. EMI/FRI filtering included. 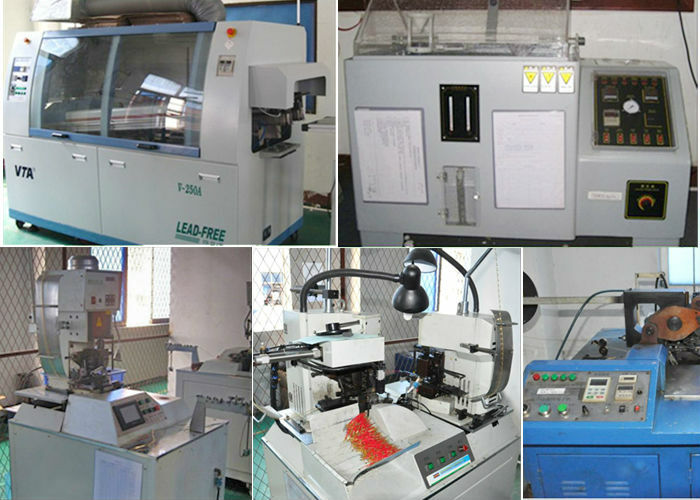 Production Lines: five lines in Shenzhen Factory, Eight lines in Meizhou Factory. 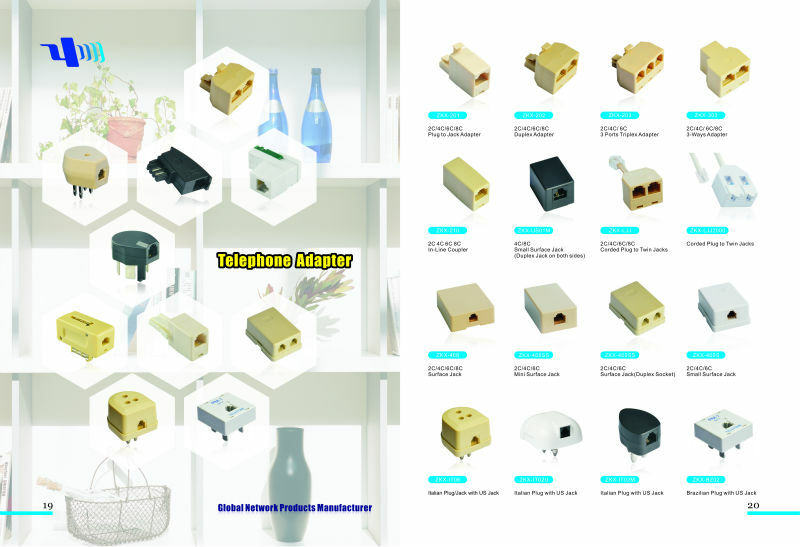 ADSL splitters/filters is an electronic device that isolates the ADSL and voice bands. An ADSL Line Filter is required whenever you connect a computer to the internet using Broadband over a standard telephone line. The filters/splitter divide the signals on the telephone line between the high pitched computer modem sounds and the lower pitched human voices. void the following phenomena: one, the Internet phone, phone call there is noise in two, while surfing easy to drop, a separator for a telephone, a few extension installing a few separator to ensure no messenger wire!Three, the three ports of this separator: a phone line into, ADSL, one answer the phone. LINE for the telecommunication authority outside interface, PHONE for telephone interface, for ADSL MODEM. 3. Over charge protection, over discharge protection, over current protection. 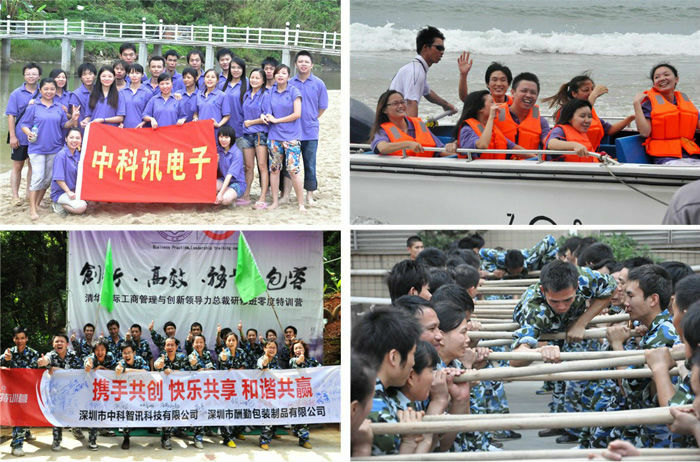 Why choose ZHONG KE XUN ELECTRONIC (H.K. )CO., LTD? 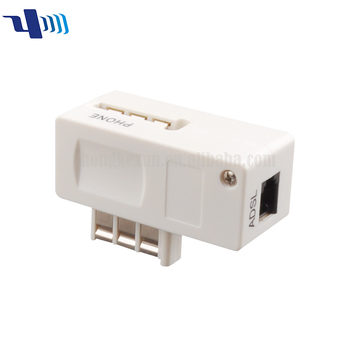 specializes in rj11-rj50 network cable .adapter .pcb jack .plug &connector .data cable and other related products. We integrate research and development, production, sale, service and technology. Since our establishment in 2001, our company has always focused on the "cable&adapter" research and development, management and research. We are aiming at a multi-win situation with our partners, staff members, shareholders and suppliers. 5.Environmently friendly, energy-saving, complying with the safe certification standard. 1.We ship items by DHL/FEDEX/UPS/EMS/TNT(If with Exw price),another by sea and by air both ok(if with FOB price)you can choose by yourself. 2.We hope goods arrive on time,but since this is an international delivery,shipping time will be highly depended on the courie company and local customs/duties.Thank you for your kindly understanding.